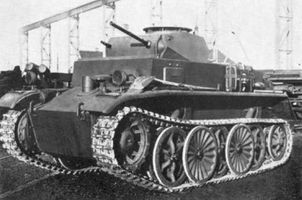 La orden inicial para este tanque se emitió en 1939. En origen fue concebido como un tanque de reconocimiento de gran velocidad para unidades aerotransportadas. La producción en serie comenzó a principios de 1942. 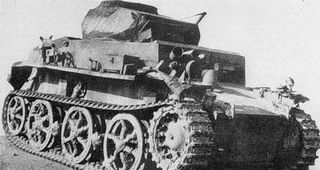 A principios de 1943 dos vehículos se desplegaron en la 1.ª División de Tanques. 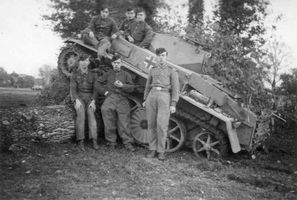 Otros 38 vehículos se desplegaron en el 58.º Reserve-Panzerkorps en el verano de 1944. It is extremely fast (highest top speed in the game) and highly maneuverable, rivaling even the Soviet T-50-2. 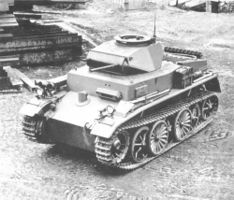 It sports sloped 30mm armor on its front and is relatively well-armored for its tier. 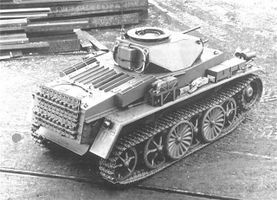 Lower-tier tanks and machine guns will have difficulty penetrating its armor and an even harder time hitting one at full speed. Its top gun, the 7.92 mm Mauser, is a rapid-firing machine gun that holds 5 8-round bursts in its drum, meaning it fires 40 rapid shots before reloading with a good ~350 damage potential. 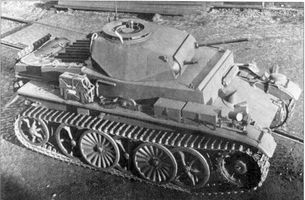 Despite its relatively low penetration, the 7.92 mm gun can easily take out full-health tier 2-3 tanks within seconds with shots to spare. 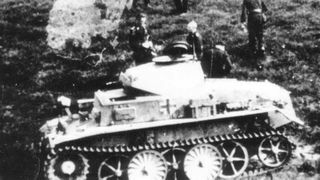 The Pz.Kpfw I Ausf. C also has great gun elevation arc angles which assist with using cover and firing on the move. The formidable burst damage potential and high maneuverability make this tank one of the best flankers and run-and-gun drive-by vehicles; it's great for its tier and a fun tank to play. When in higher tier battles, typically Tier V, penetrating enemy tanks becomes extremely hard. Almost all tier 4s and 5s are invulnerable to your gun, even from behind. Thus, it is ill-advised to engage enemies head on. It is more effective to scout enemies for your team and to attack SPGs when the opportunity presents itself (when the enemy is distracted and away from their base!) As a scout (especially with Binoculars or Coated Optics) or arty-hunter, this tank becomes very valuable to its team. Furthermore, its powerful radio enables it to effectively scout. 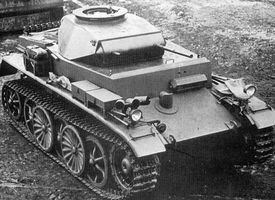 As with any tank, being the underdog tier-wise is extremely dangerous and care must be taken to avoid all enemy fire, Your 30 mm armor is not at all effective against tier 4 and 5 vehicles.